Comprando este producto consigues 0,48 € con nuestro programa de fidelización. Tu carrito acumularía 0,48 € que podrás convertir en un vale de descuento. 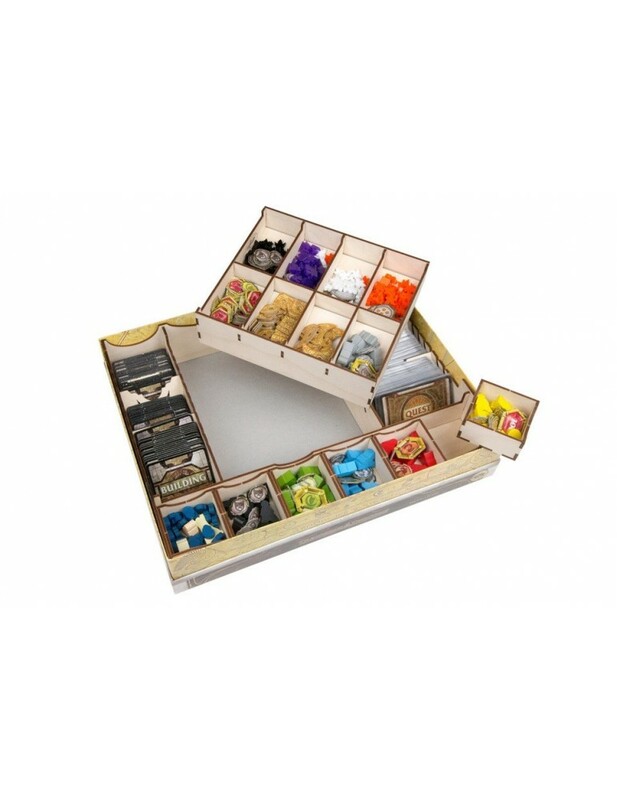 Give your adventurers a premium home with our new Deepwater organizer designed for Lords of Waterdeep. We pulled out all the stops with this storage solution. In addition to holding all the parts from the Scoundrels of Skullport expansion, our organizer will make game setup and tear-down a breeze. Our organizer also adds support to the original Lords of Waterdeep box. The light-but-rigid wooden frame will help support the box even if your box has seen better days. Those familiar with our original Deepwater organizer will notice the addition of 6 removable token trays, as well as new stylish curves and cutouts to enhance the overall look. Arrives as an easy-to-assemble kit.